John Boyden (May 14, 1809-September 28, 1869), a Universalist minister, politician, and social reformer, was a disciple of Hosea Ballou and the longtime pastor of the First Universalist Church of Woonsocket, Rhode Island. He worked prominently there for public education, temperance, abolition, and new forms of medical treatment. Born in Sturbridge, Massachusetts, John was the seventh of ten children born to farmers John and Elizabeth Boyden. He attended schools in Sturbridge and in nearby Brookfield and Dudley, Massachusetts. After finishing his education he taught in local schools while continuing to help his parents with their farm. At 14 he heard Hosea Ballou preach in Brookfield. A few years later, after another visit by Ballou to his area, he was converted to Universalism. In 1829 he quit teaching and was, for a year, a student for the ministry, living at Boston in the Ballou household. When Ballou sent him to preach his first sermon, he told him, "Be in earnest. Don't speak one word without making the people understand and feel that you believe it with all your heart." Boyden's first settlements were at Berlin, Connecticut, 1832-36, and Dudley, Massachusetts, 1836-40. While in Connecticut he visited P. T. Barnum, in jail for libel. In Dudley he worked part-time for the Universalist church in Southbridge, Massachusetts, 1838-39, and served as a representative to the state legislature. He was called to be the first minister to Universalists in Woonsocket, Rhode Island in 1840. The Universalists there, who had been organized since 1834, had just erected their first church building. He served this church and the Woonsocket community until his death nearly thirty years later. In a published sermon, The Dangerous Tendency of Partialism, 1843, Boyden likened anxiety over salvation, revivalism, and other "religious excitements" to alcoholism. Both practices, he reasoned, were dangerous to the health, and the consequent states of intoxicated illness were among the hells human beings create for themselves on earth. "Some persons are born again," he preached in 1847, "but only born to a few good things. They must grow-learn to do well-it is a track." The central idea of his life was "improvement": reform in every aspect of social and individual life. As chair of the local Washingtonian Total Abstinence Society, Boyden campaigned for years against liquor licensing. In 1845 he was successful in getting local government to cease granting liquor licenses. Five years later he proposed a vigilance committee to help with the enforcement of these laws. After the failure of enforcement, in 1852 he backed the passage of prohibition modeled on the legislation adopted in Maine the year before. In order to keep this "Maine Law" in effect, in 1853 Boyden participated in a convention which organized a short-lived temperance party. As other issues came to the forefront during the 1850s, he found himself increasingly isolated within his community in his hard-line stance against the consumption of alcohol. Boyden was much more successful in the organization and promotion of public school education in Woonsocket. He served on the local school committee, 1841-51, again later in the 1850s, and 1860-64; functioned as chief local publicist for Henry Barnard's program of statewide educational reform; backed the unification and standardization of local school districts, 1849; and helped organize the Cumberland and Smithfield Institute of Education, 1845, which provided teacher training. He is remembered in a local history written shortly after his death as a leading light "among those who have labored earnestly and wisely for the advancement of popular education in Woonsocket." A local abolitionist leader, Boyden was a candidate for the United States House of Representatives on the Liberty Party ticket in 1847. He ran again, as a member of the Free Soil Party, in 1849. In the mid-1850s he was recruited by the Know-Nothing Party which in Rhode Island based much of its appeal on temperance and abolition. Although this may have been a case of "politics makes strange bedfellows," there were points of contact between the nativism of the Know-Nothings and Boyden's reform concerns. The influx of immigration that sparked nativist xenophobia was largely Roman Catholic, and Boyden was alarmed that Catholics often preferred not to send their children to public schools and that the drinking customs of these immigrants frustrated the temperance program. "Our country has many nationalities," Boyden said in an 1865 lecture, "Diversity in Unity," "but they ought to blend as rivers in a sea. The foreigner should be an American, with all the force of his nature. He should educate his children in our schools, preparing them to act the part of freemen. No man, foreign or native-born, should be allowed to cast a ballot who cannot read." In 1854 Boyden, calling himself an independent, defeated a prominent local Democratic politician in a by-election for a seat in the Rhode Island General Assembly. The surprising result of this isolated contest was the first evidence of a new political phenomenon in the state. The following year the Know-Nothings won a landslide victory in the state election. Boyden was elected a state senator on the Know-Nothing/Free Soil ticket. As a senator he voted for a number of reforms, including constitutional amendments to provide a poll tax for public education and a 21 year residency requirement for citizenship. These amendments were later defeated by referendum. After the Know-Nothings (by that time called the American Party) fragmented over abolition, with the northern delegates walking out of their 1856 national convention, Boyden no longer ran for public office and became a supporter of the newly-founded Republican Party. While making his pastoral rounds Boyden practiced homeopathic healing. He dispensed "little pills," nursed sick parishioners, and consulted with the local homeopathic physician. For these activities he was accused of being a "quack" by a local physician. Boyden, on the other hand, believed that the traditional forms of medicine used by the regular physician-blood-letting and dosing with mercury compounds-needed to be replaced by something new and improved. "What is the origin of 'quackery among the clergy' and others, if it is not quackery among physicians?" he asked the indignant doctor. "Your failures have driven the people to try experiments." Boyden supported voting and property rights for women, shorter hours for mill workers, aid for the starving in Ireland, public libraries, prison reform, and kind treatment of animals. He strenuously opposed capital punishment. He admired his crusading neighbor to the north, Adin Ballou, leader of the utopian community at Hopedale, Massachusetts. The two exchanged ministerial services and Boyden often attended Ballou's lectures and Hopedale community events. Having attended the new meeting house dedication in Hopedale in 1860, Boyden praised the community for "striving to realize the angelic announcement of peace on earth and goodwill to men." 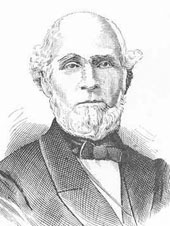 During his entire pastorate in Woonsocket Boyden was the chief officer of the Rhode Island Universalist State Convention-standing clerk, 1840-61, and, after the convention was reorganized, president, 1861-69. He gave the annual sermon at the United States Universalist General Convention held at Baltimore in 1844. Besides a number of tracts, Boyden published a Sunday School hymnal,The Eastern Harp, 1848. He and his congregation introduced public Christmas celebrations in Woonsocket in the 1850s. Boyden married Sarah Church Jacobs in 1831. They had one son, John Richmond Boyden, who died in young adulthood. Struggling with chronic poor health, Boyden took a leave of absence for several months in 1857. Traveling in New Hampshire the Boydens visited a Shaker community and were impressed by "a serenity of countenance that indicates the peace of God in the soul." They did not sleep in the community, however, as there were separate accomodations for women and men: "not being prepared even for a temporary divorce, [we] sought and obtained very comfortable quarters with a private family nearby." After Boyden died the Universalist church he had so long served held annual services at his grave. These regular commemorations persisted into the early 20th century. The biographer of Hosea Ballou, Oscar Safford, included Boyden with Hosea Ballou 2d, Thomas Whittemore, and Lucius Paige in a chapter called "Spiritual Sons." "We know not who in his generation surpassed him in largeness of love-the Christian love which recognizes the Infinite in the finite, the Divine in the human, and feels another's joy and sorrow as its own," Safford wrote. "No name among those held in honor by the Universalist Church is regarded with more affection than John Boyden, the Christian pastor, who had a genius for loving." A diary and other papers relating to John Boyden are in the archives of the First Universalist Church of Woonsocket, Rhode Island. The archives include typescript histories of the church and a transcription of "The 1847 Diary of Rev. John Boyden" with a biographical introduction by Peter Hughes and a transcribed collection including many Boyden items, "The First Universalist Church in the Woonsocket Patriot, 1837-1869." Boyden publications not already mentioned include Review of Rev. M. Hill's Sermon on "American Universalism" (1844), Review of a Tract Entitled "A Strange Thing" (1845), (with A. Abbott) Religious Bigotry (1845), and "The Reign of Christ" in The Christian Helper (1858). Other useful sources of primary information are the Rhode Island government records, at the State House in Providence, Rhode Island and issues of the Universalist Register (1841-70). There is an obituary in the 1870 issue. Oscard F. Safford included several pages on Boyden in Hosea Ballou: A Marvellous Life-Story (1889). Boyden is also mentioned in Erastus Richardson, History of Woonsocket (1876) and Charles Stickney, Know-Nothingism in Rhode Island (1894). See also John G. Adams, Fifty Notable Years (1883) and Peter Hughes, "Quackery among the Clergy: Medicine and Ministry in Conflict in 1848," Proceedings of the Unitarian Universalist Historical Society (1995).